What would you measure/data log if technology was no option? Hey guys. I'm close to beginning to share the system I've spent some time developing which is a homemade datalogger. Before I post lots of information about it though, I'm really keen to get some feedback to what other people currently measure, or would want to measure. As well as being able to have the ability to record and review those bits of information. When I say technology, I don't mean what would never be possible. But what you could either afford, what doesn't exist or what system simply doesn't correlate a potential theory of relationship you have. Keen to hear peoples thoughts. The technology available to us to create our own systems is EASY, companies are making HUGE profits off of industrial based companies through the IoT movement and creating fancy dashboards. I'm a strong believer this is all just hype, none of the systems I've EVER seen use any type of process control or allow you to react. Just display numbers and capture data. 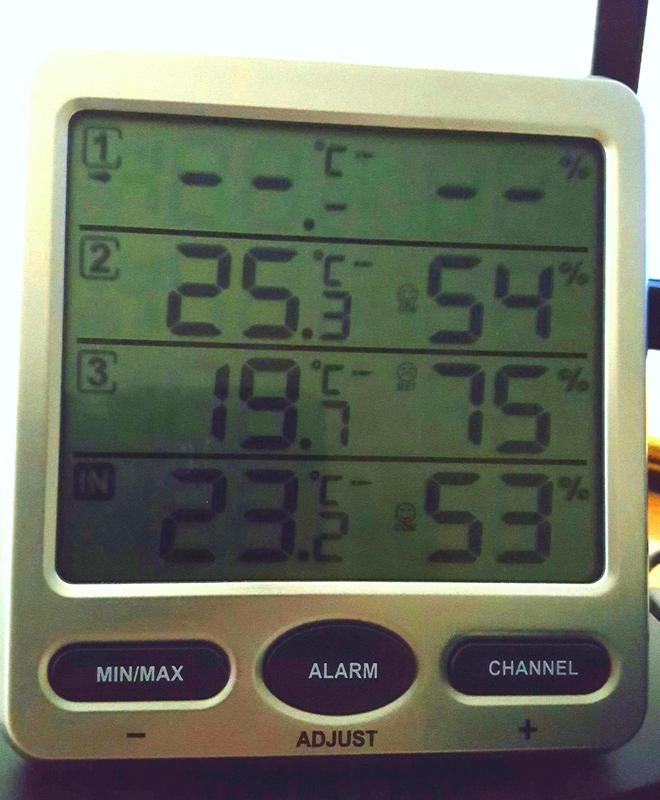 Apart from temperature, humidity or airflow everything else just seems disconnected, not integrated and just for display purposes. Anyway, enough of the rant and drive of whats sent me down the path to make my own rather complex setup. Let me know please, what you think. Who knows, I may even build a DIY system that measures and records it for you. Im slightly confused at what you are trying to achieve. Are you looking to build an all in one system for home grown set-ups? If so I personally do not log any information but I can see how would would be helpful. Things I monitor in a daily basis once conditions are dialled in and running well. Auto pots res pH and ec/ppm. So say I had to leave my grow setup for a couple of days I would come back and quickly be able to isolate any problems. Temp and humidy monitor which covers inside and outside the tent. A Fan controller which I manually adjust for day vs night. When the light goes out the humidity rises so I have to exhaust more. Water usage I juat check it and have no quick solution to accurately measure how much the girls are drinking. Every grow setup is different so It is far easier to have tech that looks after eachthing individually. If I was to try and create something to give me all the above it would have to be a modular system to be commercially viable. No idea if that helps!?! Hi mate, thanks for the long post! Really great feedback. I'm trying to create my own single system, to monitor as much as I can think of. Allow me to react automatically but understand changes I'm not aware of. Like the drop in temperature or lack of heating capacity to counter act drops in temperature. I've made quite a big system at the moment, it would indeed be modular if people wanted something isolated. Like an 8 sensor temperature & humidity unit with the display screen for a very low cost. I'm developing my own system for my own purposes but would like to be able to create a setup for people if they wanted to make their own. Have you ever see control freaks fan controller? I've been thinking to get one as I've never had any luck with temperature based fan controllers. To as you do, adjust as the humidity changes. I'm planning to put temp probes in my groom in key places linked to a Pi for data logging of temps, will probably do humidity as well. Keen for knowing root temps and having each pot temps logged. Would like to do soil moisture but read that some can input a current to the soil which can hurt the roots. Maybe air flow from extract and intake along with temps again and pressure sensor for room pressure but not as bothered about that. Camera maybe for a time lapse and for checking everything ok without opening but concerns over securing that. Watts used per hour would be good and how often heaters are on etc. Not sure how that would be linked to a system but haven't searched it. If hydro I would want water temp and pH, EC etc monitored. In an ideal world the system would monitor these and take action to resolve but that is a far off dream. Not to bothered personally on a screen in the groom if I can access info via web interface on phone or pc but for some a screen in/near groom with info on would probably be welcome. Never thought of that! What a great idea. I was going to get a pH and EC metre to just log each feed, though I'm drain to waste. Just a button to record values to the data log just before I feed. For watts used per hour, I would use an SCT 013 000 sensor, rated 100A. You can get the current draw by making your own extension lead to isolate the 240v + wire. I've tried using it without separating the wire and had varying results. I have the kit just haven't got to the stage of refining that sensors input yet. Could use the csv output to just chart or use excel formula for the values you're after then perhaps. The basic 20x4 LCD screen just to cover basics is all I'll be using. Just so I don't have any issues with a quick reference when I'm walking past. A web interface sounds great, much easier to do that with the Pi than the Arduino. I do have a ESP8266 module I have yet to make recording data easier, rather than pulling the SD card every time I change the programming. What camera would you use? I haven't researched it enough to know the exact cams I'd use. There is a ardunio to pi connector so the pi can take the Arduino info and turn it into a web interface etc. All of this I've done none of btw, I just know it's possible and want to venture into it at some point. I work in IT so have some exposure to these sorts of things. 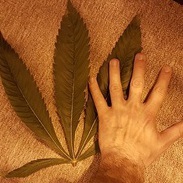 I'm only just coming back to the grow scene but I used to have an old pc hooked up in the groom so I could monitor room and take photos for time lapse, worked reasonably well but Res was onky 640x480 so wasn't very clear. I think a screen would be a great idea for most people with all important info like current,mins,max temps etc and if hydro extra Res info. I still think that I'd personally use a web interface as I can check from downstairs instead of going up to the loft but if a screen was easy to setup chances are if do that too. I've ordered a few more DHT22 (AM2302) modules, going to use the canopy as height but I really want to put sensors all over the place to see if I could see any trends. There's a setup called RemoteXY, makes app control real easy. Perhaps worth a look. Let me know if you find any platforms for the web interface or any other online sources for the dashboard. I look forward to seeing what you engineer. I love seeing home growers bespoke systems. With regards to the humid and temp changes I literally picked up this multi monitor the other day. The main lcd I have next to me in the house and I have a sensor each in my two grow tents. Number 2 is my flowering tent and number 3 is my veg tent. Also had to pick up a mini dehumidifier for the flowering tent. I'm using auto pots this grow and the humudity is really high due to all the water in the trays and res. Sadly the temp and humidity monitor does not keep records but I'm always mostly home. Also hope you had a nice Christmas. Have you set limits on that little unit it says Wet already? Which is a good indicator. I have a sensor module with plug outputs to turn humidifiers or dehumidifiers on or off, but never got it to work properly, sadly think I move too much air! I did have lovley time over my family's thanks mate. You will have to treat yourself to Some more grow euipement when possible as a late present =). Yes have set the min/max limits thanks, I think it just naturally says Wet over 70%. Ah good luck with trying to sort out the dehumidifier. I'm just keeping mine on fulltime as want to keep humidity in the 50's. I have 4 pure aks at the end of week 4 and they are apparently prone to mold in high humidity. I've always thought the open water systems would benefit from being covered over. Especially from light. Would something like that be possible with yours? I'm guessing you are right as auto pots are covered from the light by design. I have the res outside the tent . Atm with the fans and dehumidifier I'm managing to the keep the tent at the same humidity as the house which us still mid 50's. I think I will struggle to get it any lower but hope its enough to stop mold etc..
Is this the one with the remote sensors £50 odd? Yeah was about £45 and comes with the 3 white remote sensors. Pick yourself up a pack of 12 aaa batteries as you will need 10 in total for all the. Sensors and lcd. I just got recharables. No complaints so far, easy to setup, use and saves me having to keep going to the rooms to check the humidity. will do need some after crimbo so will pick up extra.